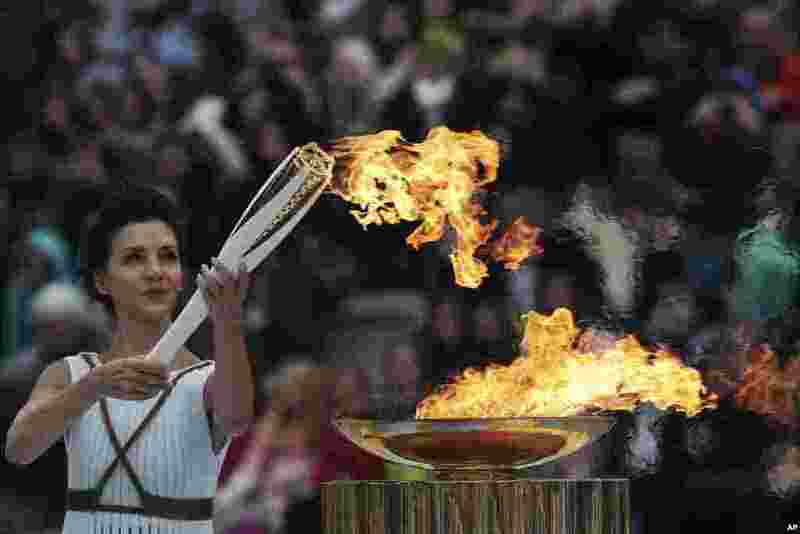 1 Actress Katerina Lehou, playing the role of high priestess, lights an Olympic torch during a handover ceremony for the Olympic Flame at Panathenaic stadium in Athens, Greece. 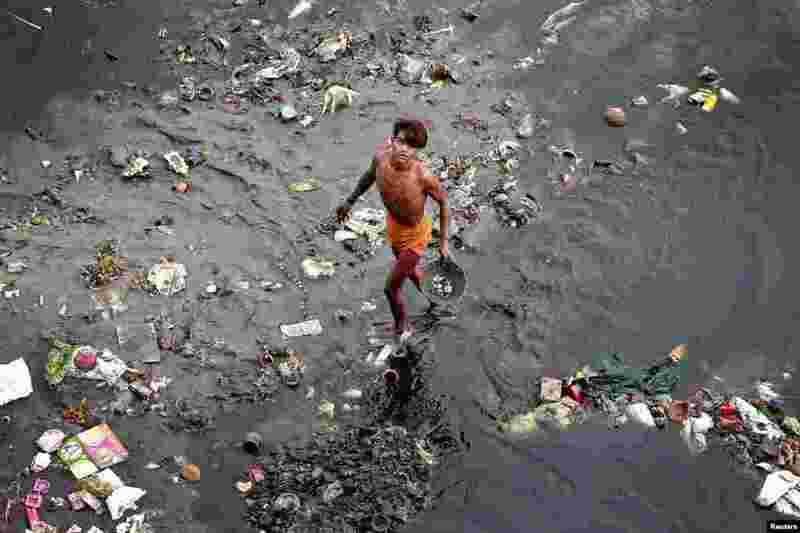 2 A man sifts through rubbish in the Yamuna river in Delhi, India. 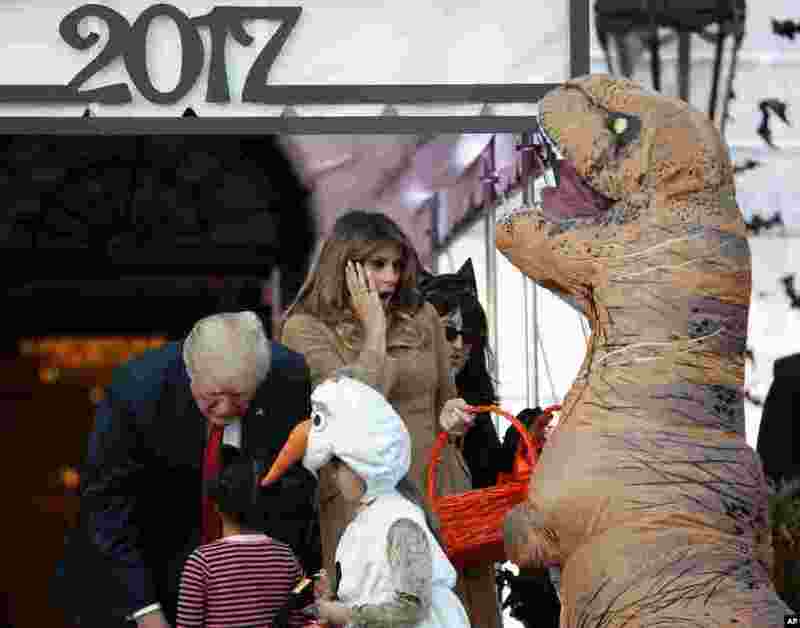 3 President Donald Trump and first lady Melania Trump hand out treats as they welcome children from the Washington area and children of military families celebrating Halloween, Oct. 30, 2017. 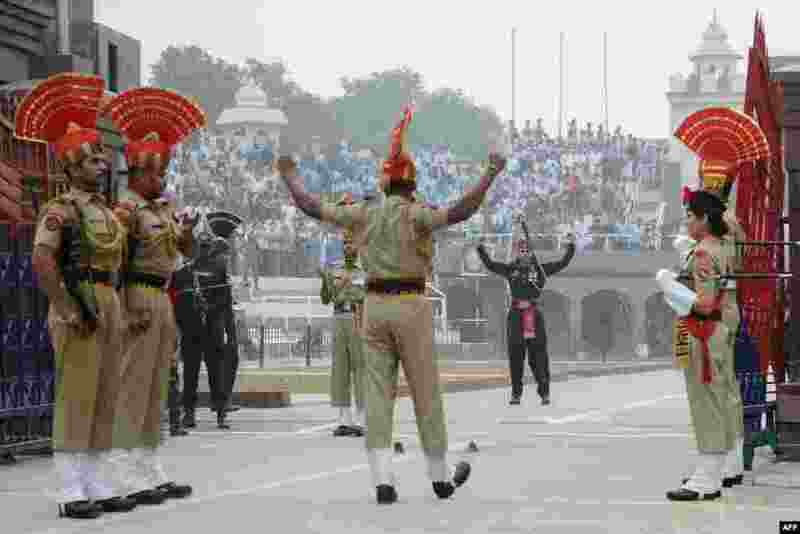 4 Indian Border Security Force personnel (brown uniforms) and Pakistani rangers (black uniforms) take part in the daily beating of the retreat ceremony, at the India-Pakistan Wagah Border, some 35 kilometers west of Amritsar, Oct, 30, 2017.